Does sagging skin make you look older than you feel? 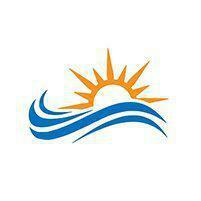 If so, find a solution at New Day Aesthetic Medicine in Hood River, Oregon. This med spa practice offers state-of-the-art radiofrequency skin treatments with the TempSure™ Envi. Board-certified naturopathic physician, Eric Jorgenson, ND, and his team can help you determine if the TempSure Envi is the right treatment to help you meet your goals. If you live in or near Hood River, call Dr. Jorgenson’s office today to schedule your initial consultation or go online to book. The TempSure Envi is a cutting-edge radiofrequency device that Dr. Jorgenson uses for skin tightening, reducing the appearance of fine lines, and improving the look of cellulite. Unlike laser skin treatments, this radiofrequency device is safe for all skin types and effective regardless of how tan you are. A pain-free treatment, TempSure Envi fits easily into your beauty regime and can be scheduled any time of year. How does the TempSure Envi work? The TempSure Envi uses radio frequency waves to heat the deep layers of your skin. Although it doesn’t damage your skin, the heat stimulates your body’s natural healing process, increasing collagen and elastin production which strengthens and supports your skin. This heat makes the body react like it was injured (even though it wasn’t), and growth factors flock to the treated area. Over time, the combination of growth factors and proteins improves your skin’s texture, firmness, and elasticity, giving you more youthful, healthy-looking skin. When you schedule a radiofrequency treatment at New Day Aesthetic Medicine, our staff prepares your treatment area, and Dr. Jorgenson uses a handheld device to administer the energy into your skin. Although the treatment is completely pain-free, you may experience a gentle warming sensation. When the treatment is on your body, this warming is combined with a gentle massaging sensation. Most treatment sessions last 20-60 minutes. What can I expect after a TempSure Envi treatment? Once your treatment is over, you can return to your normal daily activities with no downtime and no restrictions. You may experience slight redness, but this quickly fades. 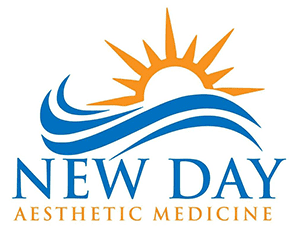 Many New Day Aesthetic Medicine patients have the skin-tightening radiofrequency treatment on their lunch breaks and return to work directly afterward. You may notice some immediate results of your TempSure Envi treatment, but the optimal skin tightening occurs about four to six weeks after the procedure. A full treatment involves four TempSure Envi sessions, scheduled two to four weeks apart. When you want to restore your skin to a youthful radiance, call Dr. Jorgenson’s office, or go online to book your appointment.